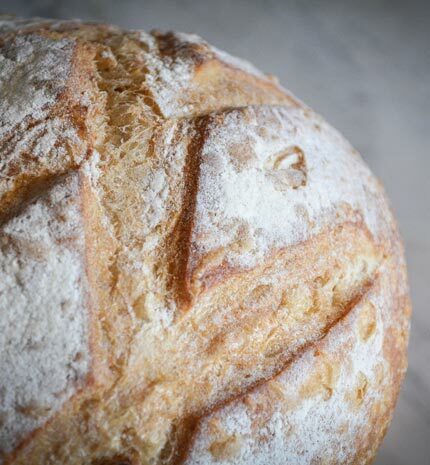 Margaret Begg, founder and master baker, fell in love with the beauty and science of artisan bread making and made a decision to learn how to bake bread the old-world way – when artisan baking was a calling and bread making was an art. With just flour, naturally created yeast, water and willing hands, Margaret developed a product and a successful business through her passion for real food. In order to bring the highest quality products to her customers, Margaret studied artisan breadmaking at the Culinary Institute of America in Hyde Park, New York and apprenticed under a French Master Baker at the National Baking Institute in Minneapolis, Minnesota. Today, Bakehouse Bread & Cookie Company creates artisan breads, pastries and cookies daily and delivers to those who appreciate artisan quality nation wide. Bakehouse products can be enjoyed daily from 7a.m. until 5 p.m. in their Troy, Ohio café. Breakfast items, fresh sandwiches served on Bakehouse breads, soups, and salads made with quality, locally-sourced ingredients are available Monday through Saturday. Bakehouse also offers custom items created especially for corporate meetings and groups of 10 or more. Boxed lunches featuring Bakehouse sandwiches and famous cookies, or specialty trays for breakfast, lunch and afternoon treats can be prepared and delivered to your office for special events or on a regular schedule. Bakehouse breads and cookies are available online for delivery anywhere in the continental United States. For additional information about wholesale products and pricing, contact Bakehouse at 937-339-8100 or eat@bakehousebread.com.